Polyurethane is a plastic material, which exists in various forms. It can be either rigid or flexible, and is the material of choice for a broad range of products such as: insulation, mattresses, car parts, coatings, adhesives, tyres etc. 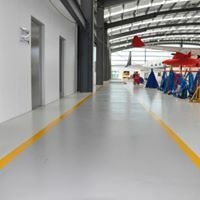 Polyurethane floors and floor coatings are a layer of polyurethane that is applied to a flooring surface in order to protect it from various elements. There is a difference between a floor and a floor coating. Polyurethane floors can normally be installed up to 10 mm thick where polyurethane floor coating can achieve up to 1 mm in total thickness. Both polyurethane floors and floor coatings protect your concrete and steel from corrosion and abrasion. Various water and oil based polyurethanes products have been widely used to protect and beautify concrete floors. Some products are low in odour while others offer harder finish. 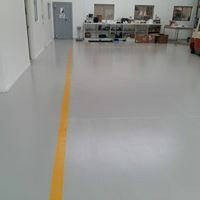 Similarly, polyurethane products for concrete floors come as: water based, solvent based, moisture cured, two packs, clear, coloured and high in film build. Most polyurethane coating are UV unstable. So if you do not want your floors to turn yellow overtime, you should only choose to use only UV stable floor finishes such as polyurethane, polyaspartic and polyurea floor coatings. It’s very important that your concrete floor is properly prepared prior to any floor coating being applied. There is a number of methods being used such as shot-blasting and diamond grinding. 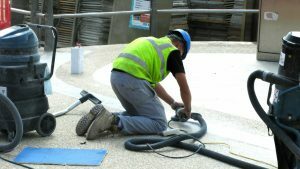 As most of our work is floor coatings we prefer and recommend diamond grinding. 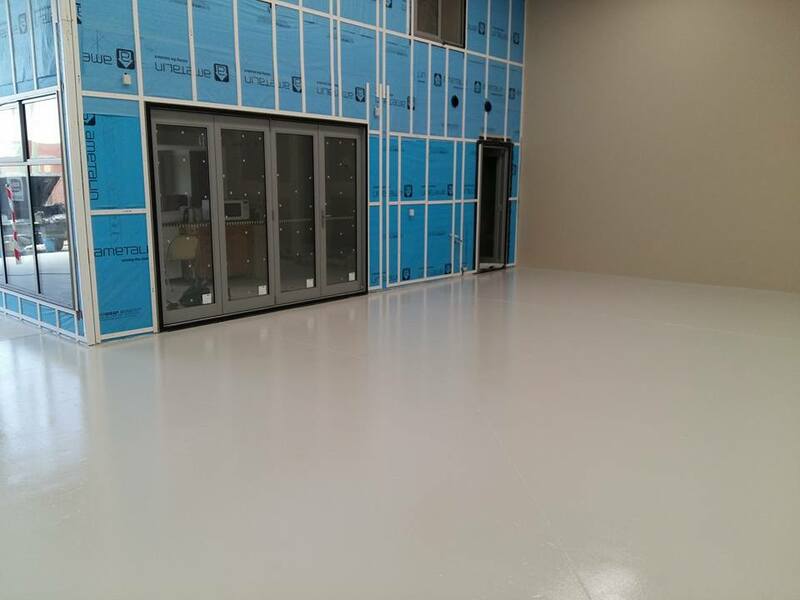 High solids 2 pack polyurethanes require floors to be suitably primed. We use 2 pack roll on epoxies to prime conrete floors. Then we apply the coating using rollers and/or petrol powered spray machines. Epoxies and polyurethanes finishes look and feel the same. But there are few very distinct differences. Epoxies chalk under UV light when used as top coats. UV stable polyurethanes will not discolour or chalk under UV light, they are also more tolerant to tension and more flexible to withstand concrete movement.